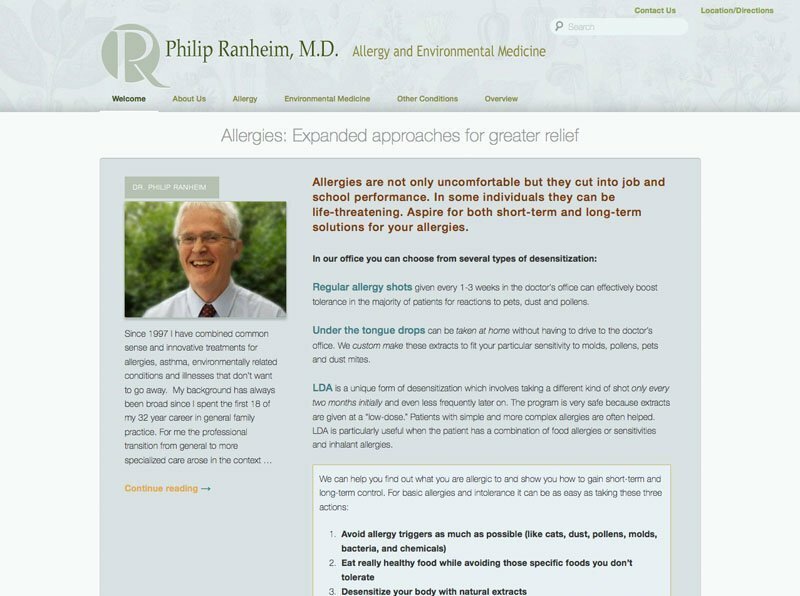 Dr. Phillip Ramnheim specializes in allergy and environmental medicine in Lake Stevens, Washington. 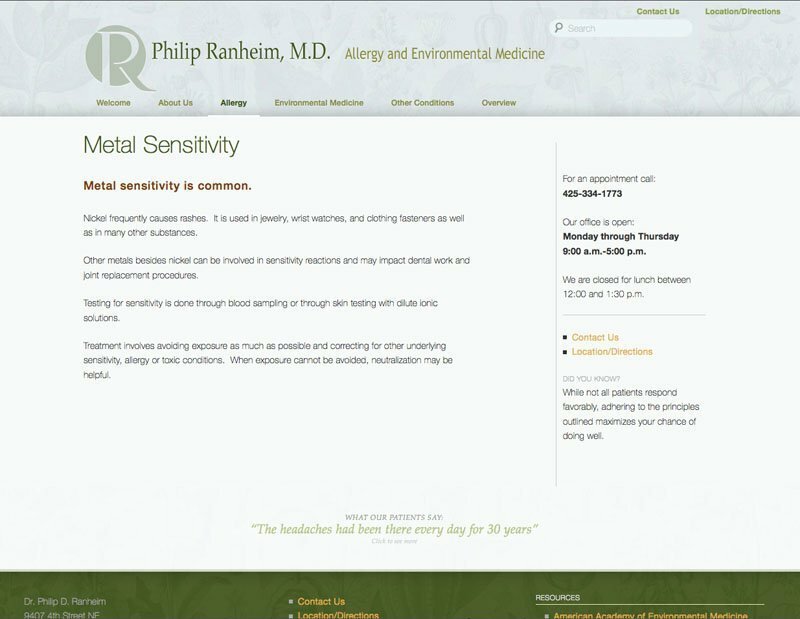 Dr. Ranheim wanted better presence on the web to allow potential patients to find him, and discover his philosophies and methods. 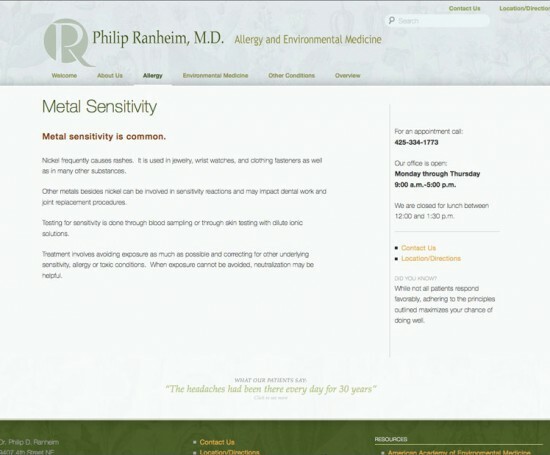 I developed a graphic look and colors that would express Dr. Phil’s serious clinical methods combined with his approachable personality. 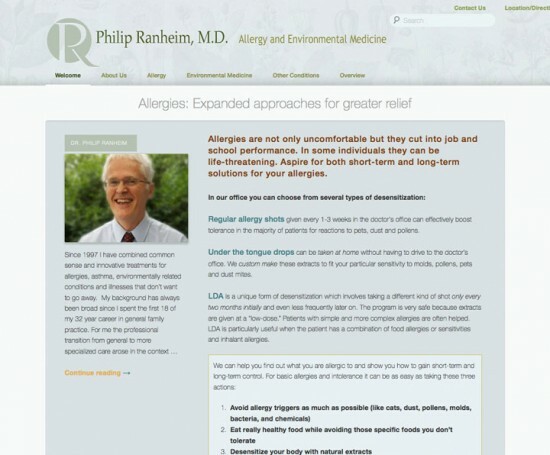 I took photos of Dr. Ranheim and his wife featuring them on the front page and about page so that others could put the friendly face to the practitioner.